Performers include: Darren McMullen (host, season one) and Jenny McCarthy (host, season two). 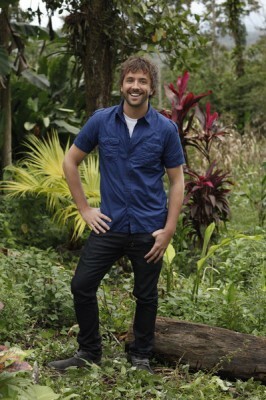 Hosted by Darren McMullen, this dating reality series puts relationships to the ultimate test. It starts with 10 single men and 10 single women who are all looking for love. These singles have tried to find that special someone in all of the traditional ways and now, they’re headed deep into the remote jungles of Costa Rica. In each episode, couples pair up in exhilarating challenges that push their bodies and emotions to the limit. Their quests include paddling down crocodile-ridden waters, navigating through bat-infested caves, and hanging 200 feet above the rain forest floor as they descend down one of the most majestic waterfalls in Costa Rica. The exploits put their relationships to the test as they fall for each other in ways they never imagined. After each adventure, the winning couple gets to share a night together at the Oasis — a lavish, five-star bungalow that has everything they could possibly desire for an intimate night of romance. The remaining couples stay with their partners in the far less-luxurious “cabins” where they gather for a night of socializing perhaps even a little scheming. Kenneth “Ken” Barrington of Miami Beach, Florida and Yanina Beccaria of Chicago, Illinois won the grand prize. First aired: July 24, 2012. What do you think? Do you like the Love in the Wild TV series? Do you think it should be cancelled or renewed for another season? More about: Love in the Wild, Love in the Wild: canceled or renewed? Love in the Wild: Cancelled or Renewed for Season Three? Love in the Wild: NBC Reality Series; Cancel or Season Two? please renew, I loved this show! I also liked Love in the Wild.. there are so few decent show on in the summer.. i enjoyed thei show. I am so disappointed to hear that Love in the Wild has been cancelled. That is one of the reality shows that I actually enjoyed watching. I hope they realize what a mistake they have made and decide to bring it back. I think love in the wild should be renewed! I love that show and i look forward to watching it!